Say what you want about Miley Cyrus, but her makeup always looks flawless. And the mastermind behind her amazingness? 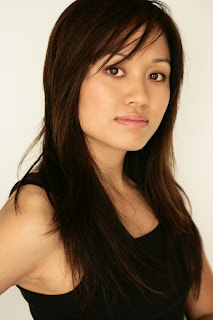 None other than makeup artist Mai Quynh. Mai has worked with some of the biggest names in the business (think Britney Spears) and she's got some truly fabulous tips to share! Find out more after the jump. I grew up in Los Angeles. I was always a hard worker, determined and very independent. I supported myself since I was 18 waiting tables and I knew I didn't want to do that anymore. When I was 21, I asked myself what I wanted to do with my life. I went to makeup school, worked at a M.A.C counter and started working on music videos. I didn't follow a conventional path in my makeup career. I did odd jobs in order to chase what meant the most to me. I discovered how to do things on my own and eventually made my own mark. I've always been interested in art (painting, drawing), so after I finished high school, I decided to go to makeup school. Not knowing what kind of makeup I wanted to do (film, TV, editorial), I eventually went to work at M.A.C and then assisted many different makeup artists. I was able to work on music videos, commercials, editorial shoots and junkets. I love Stephane Marais. He's so creative and inspiring to watch work. Working with him has taught me all about layering. He is a true artist. My biggest highlight was doing Britney Spears for the cover of Harper's Bazaar. It was my first major cover and at the time, it was Britney as a pregnant brunette, so it was a look people weren't used to seeing her in. 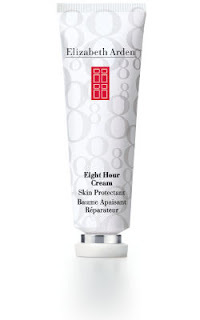 I can't live without my mark I-Glimmer in Smoked or my Elizabeth Arden Eight Hour Cream! 3) Remember that less is more. I'm doing what I love and that continues to be rewarding every day. I just moved, so I've been spending lots of time decorating and organizing with my friends. It helps me unwind and I'm able to express my creativity in a different way. thanks for this insight, great post!